Fuz becomes FUN! After many discussions the old name »verFilzt Und zugeNäht« remains with a new shortcut. 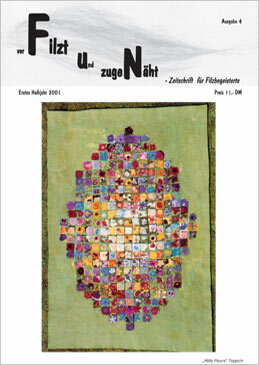 In this issue you read about felting with dog wool, European felt art, felting in Switzerland and the Netherlands. We explain what an earthworm has in common with wool fibres and what is hiding behind the term nuno felt.